In loving memory of our parents. Barbara W McKay (Barry) died 16th April 1997 aged 79. 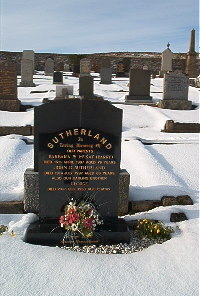 John D Sutherland died 19th July 1997 aged 86. Son George McKay died 23rd December 1958 in infancy.